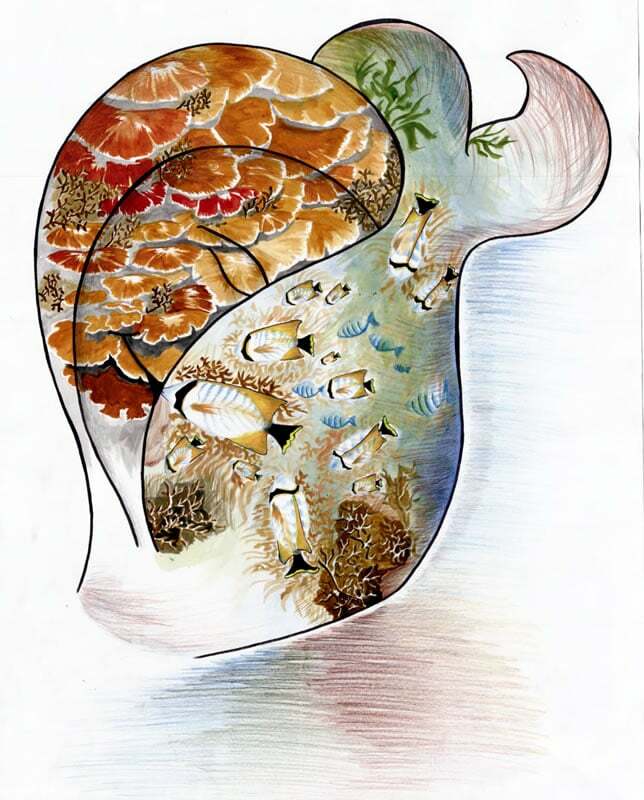 The Khaled bin Sultan Living Oceans Foundation is proud to announce winners of the 2015 Science Without Borders® Challenge. 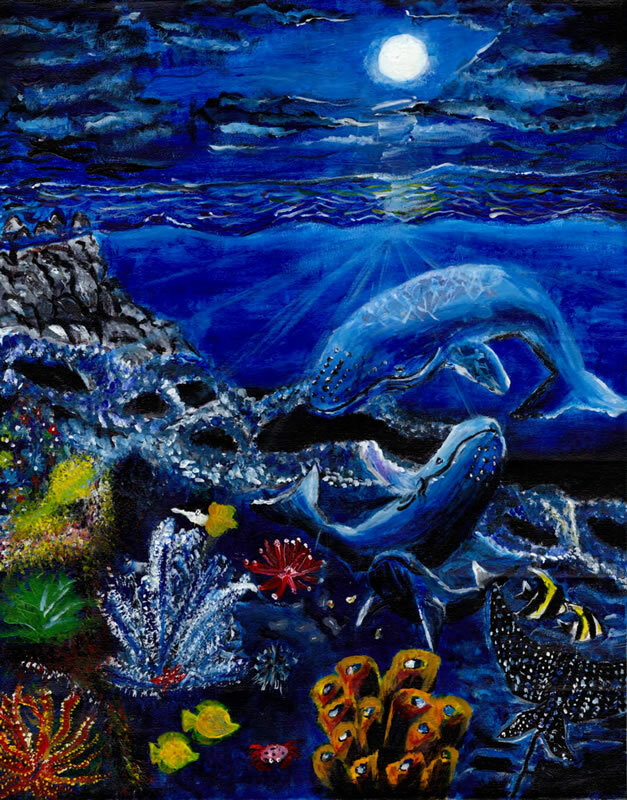 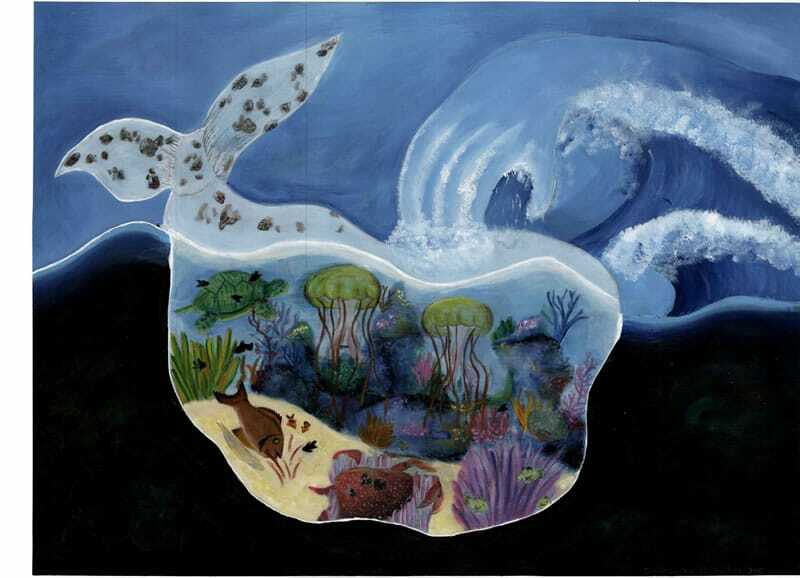 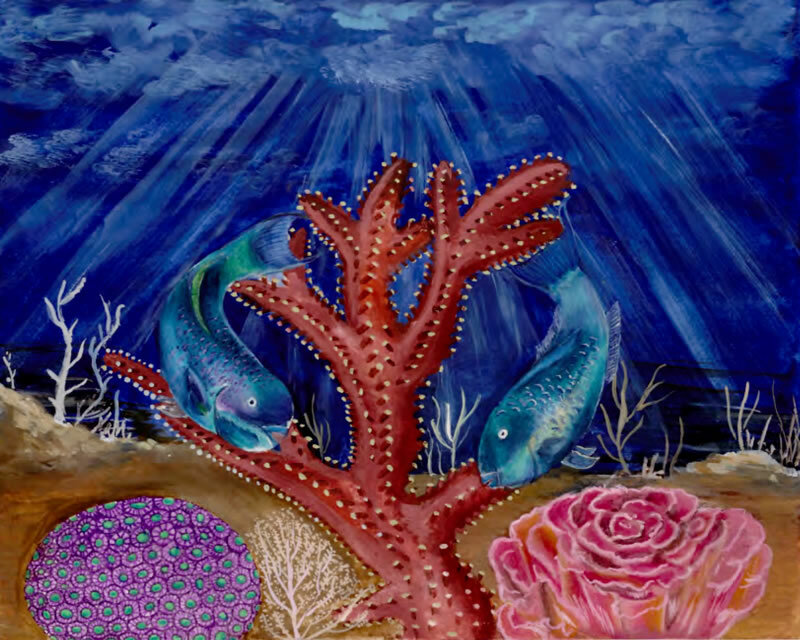 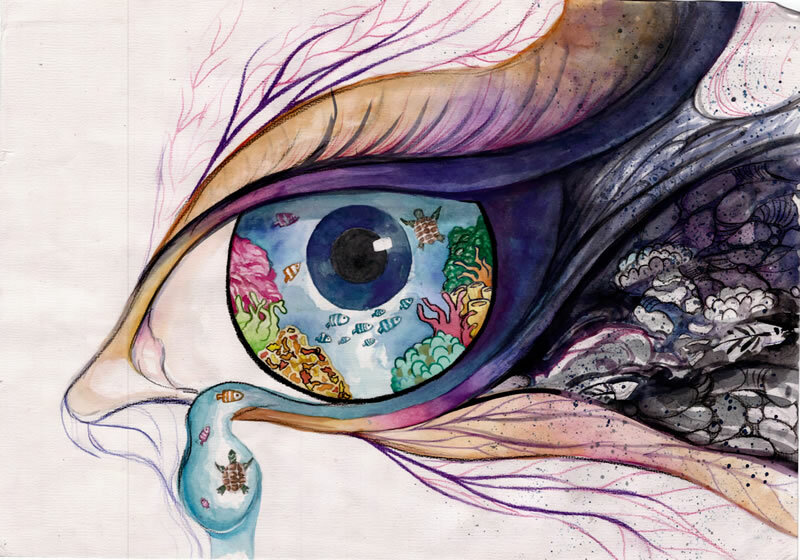 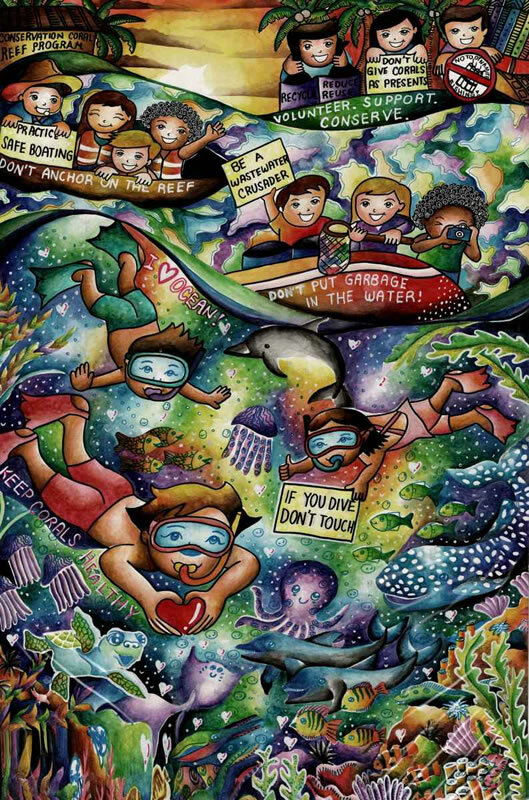 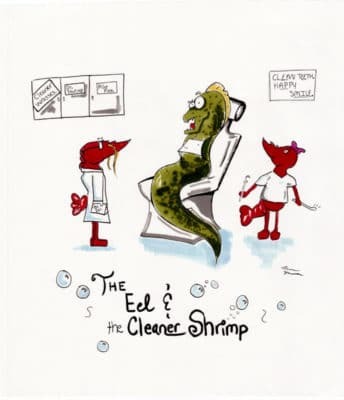 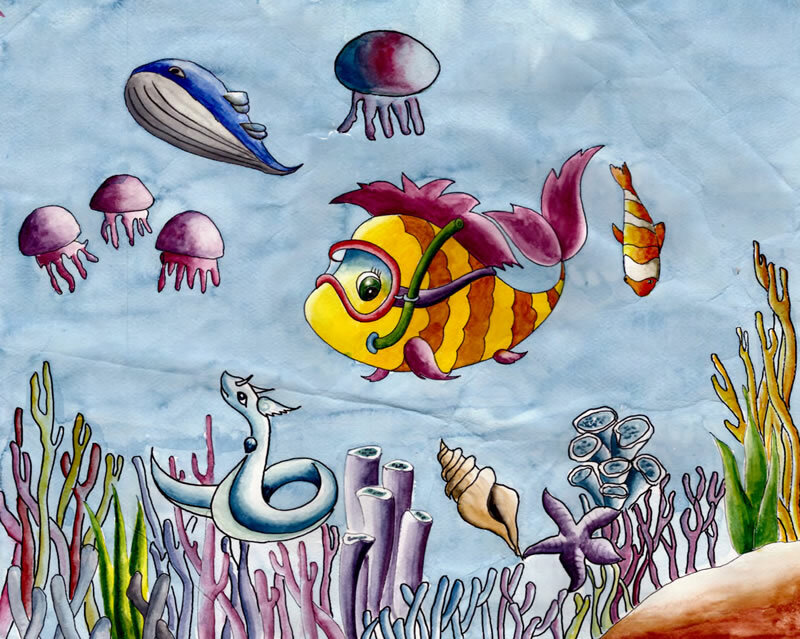 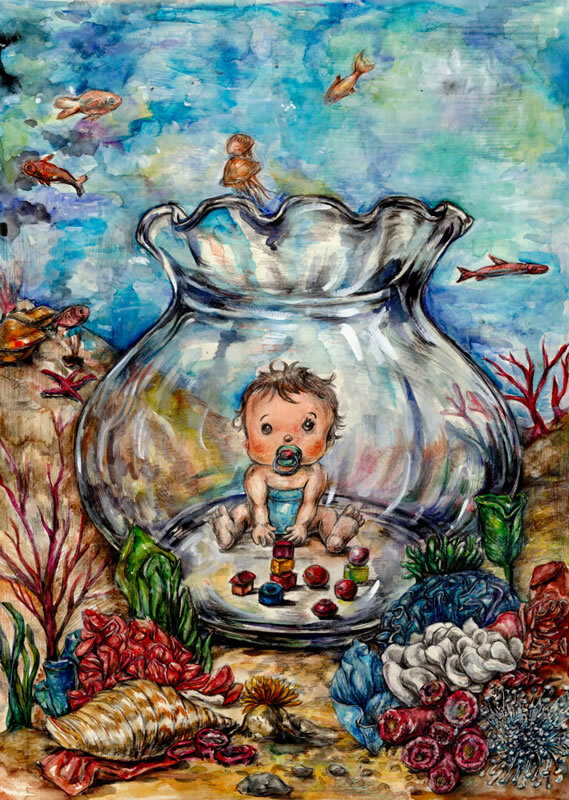 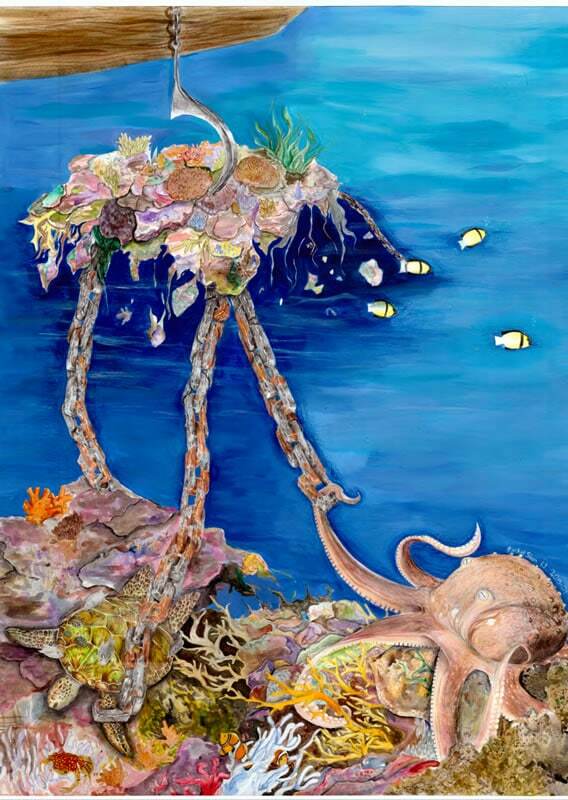 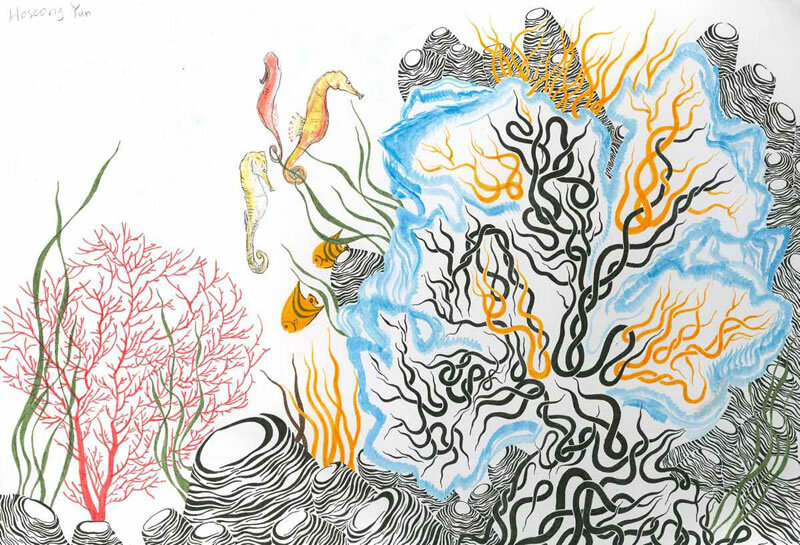 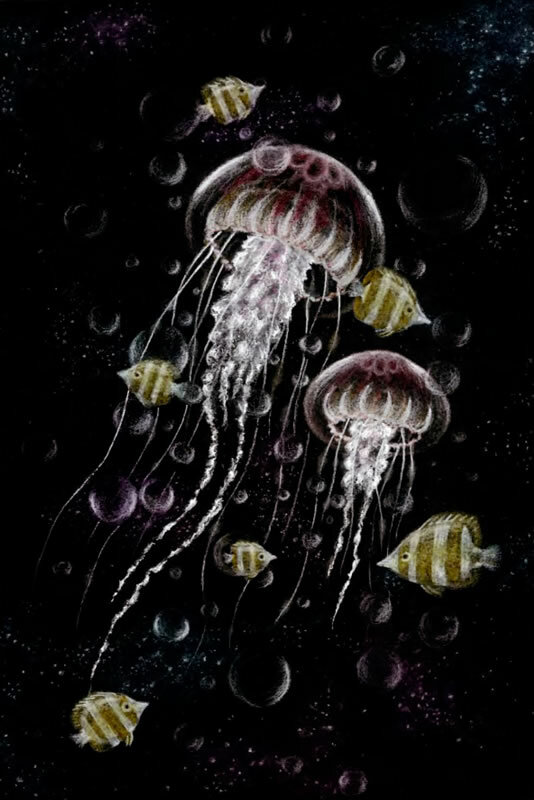 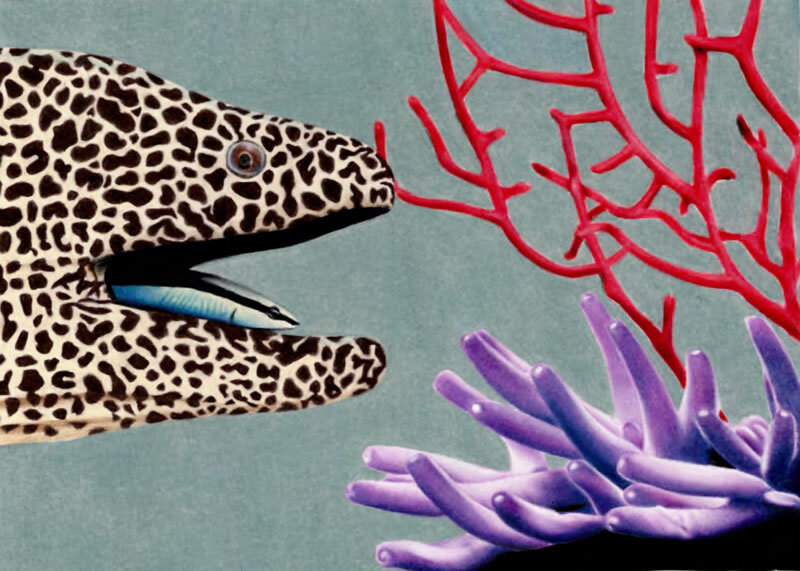 The Challenge is an international art competition that inspires students to be creative while raising awareness of important ocean conservation issues. 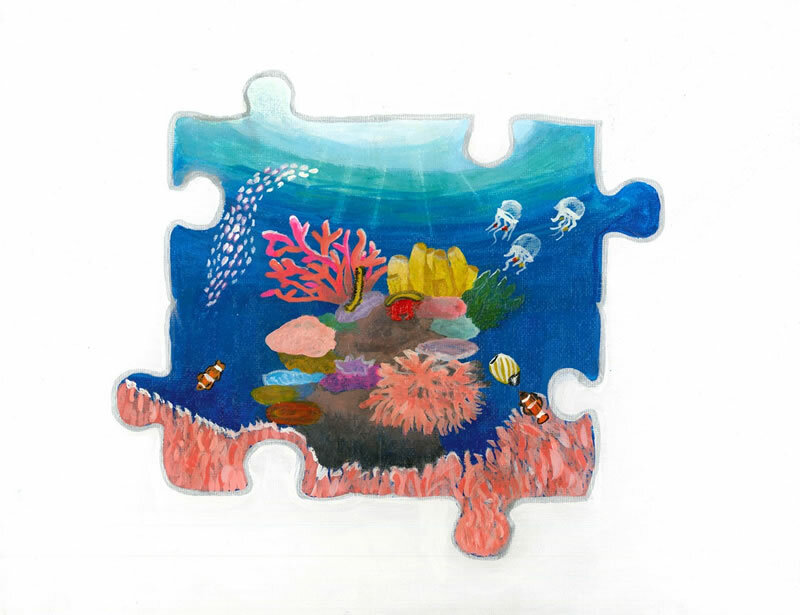 The theme of this year’s Challenge was Reef Relationships. 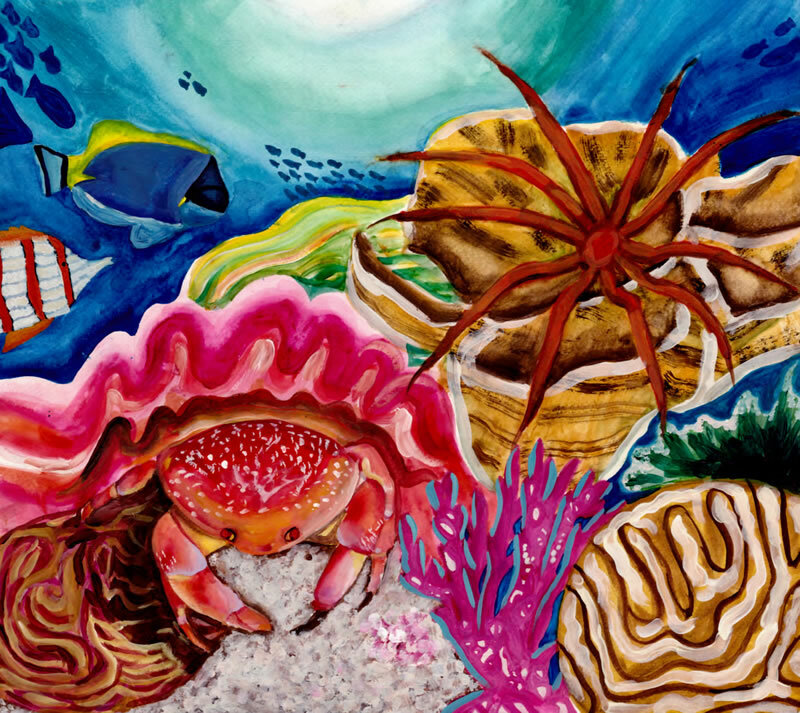 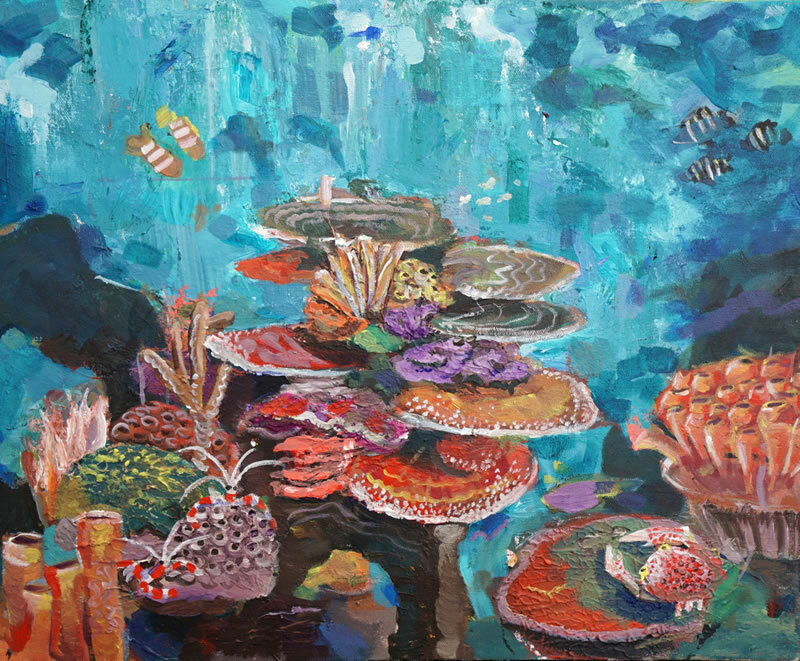 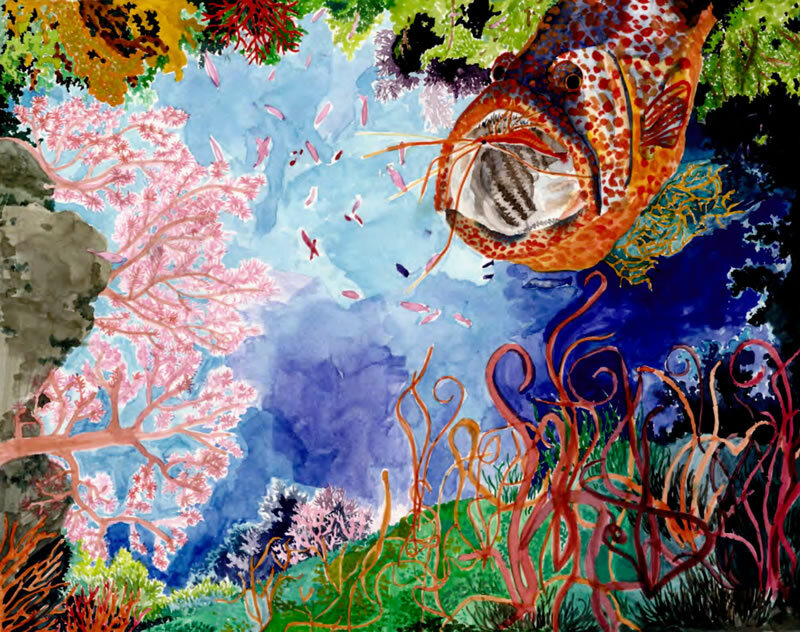 Students submitted artwork that portrayed relationships between coral reef species such as the symbiotic relationship between clownfish and anemones, while others focused on the relationship people have with the reef. 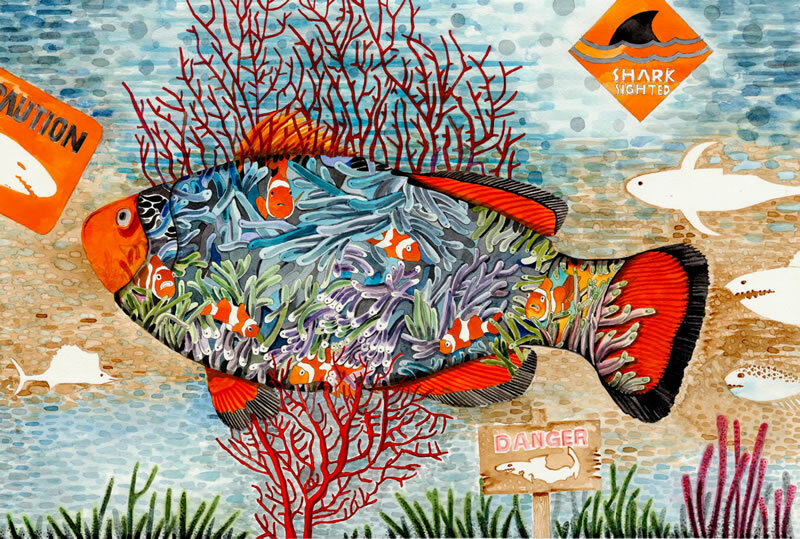 This year’s competition was bigger than ever and we could not have been happier with the overwhelming number of exceptional entries we received. 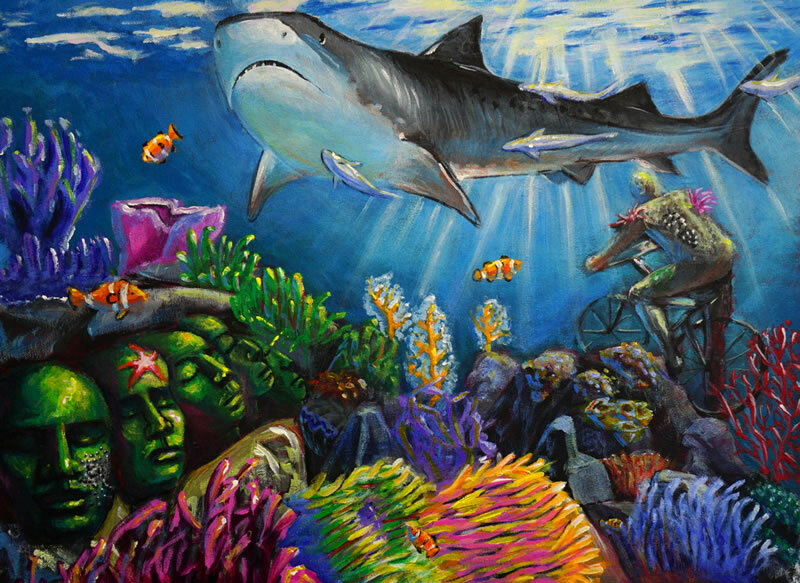 Our offices were flooded with canvas paintings, watercolors, pastels, pencil drawings, and even some very impressive crayon art as entries came pouring in from around the world. 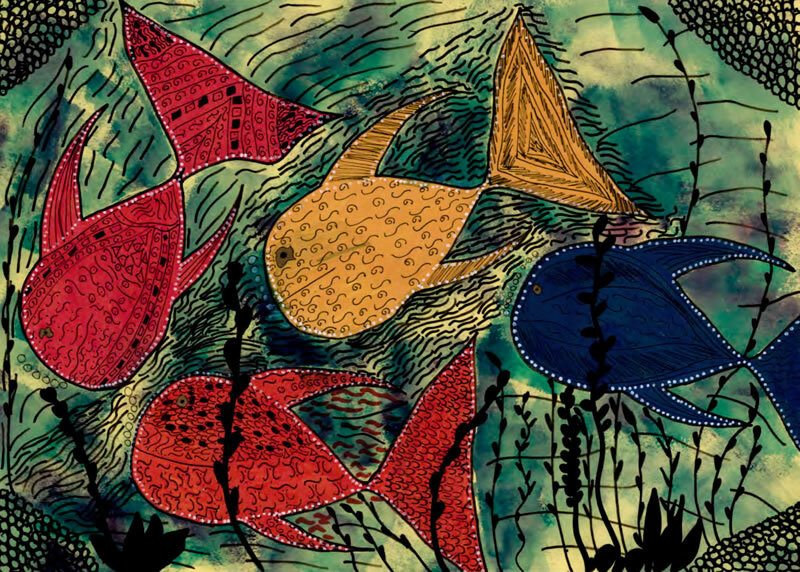 Over 150 students submitted artwork from 17 countries including Hungary, India, Kenya, New Zealand, and Pakistan. 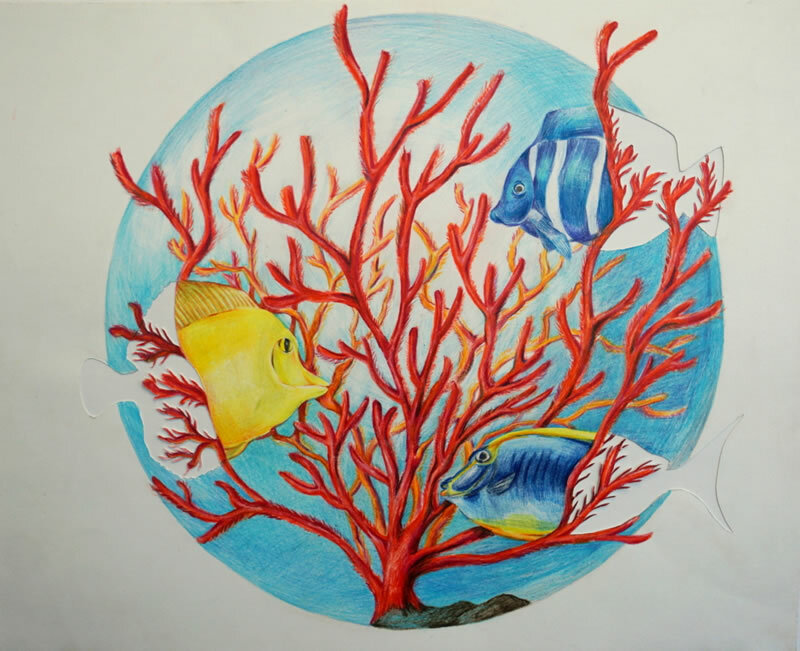 This was the first time we expanded the program to include middle school students, and were pleased to see that more than half of the entries were in this new category. 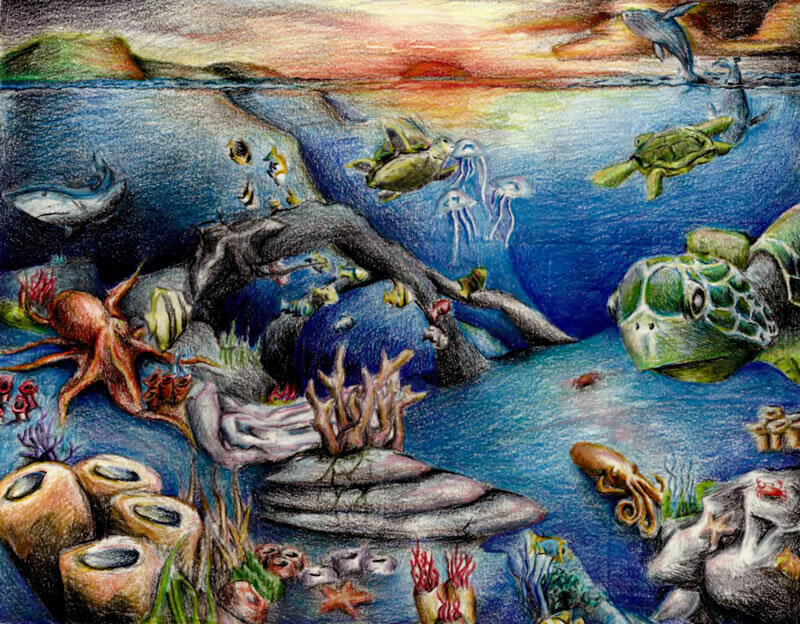 The contest was especially fierce this year, not only because of the sheer number of entries, but because so many of the pieces were truly stunning high-caliber art. 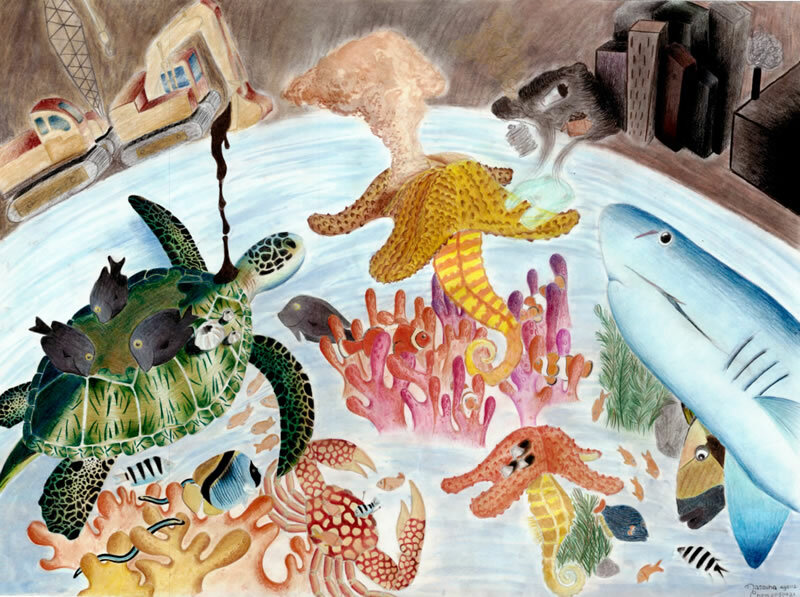 Our judges had an extremely difficult time choosing this year’s winners. 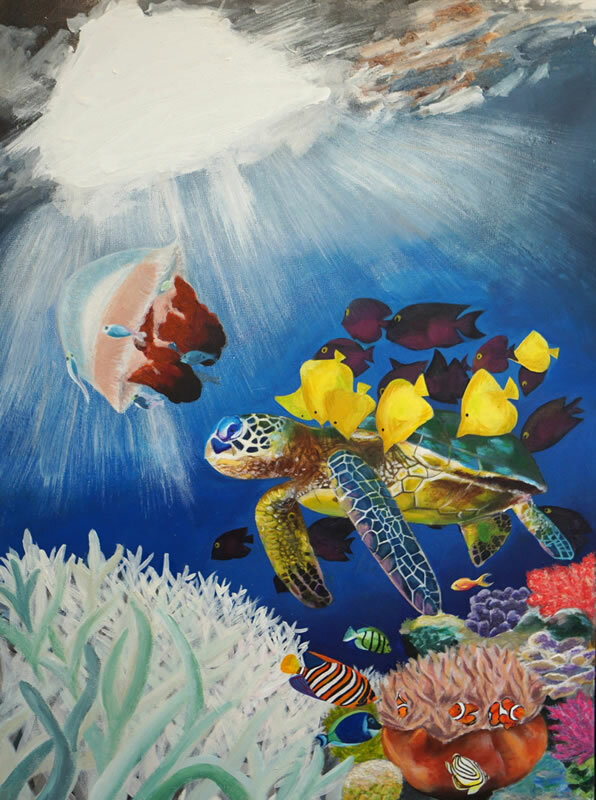 Michelle Huang, a senior at Dulles Math and Science Academy and first place high school winner, speaks passionately about her conservation art piece saying, “I want to emphasize the significance of actively preserving our natural world. 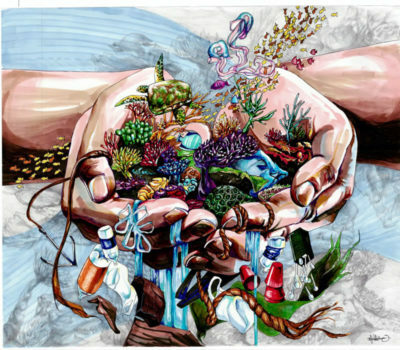 The fates of a multitude of species and habitats lie in our hands, an idiom I chose to depict literally. 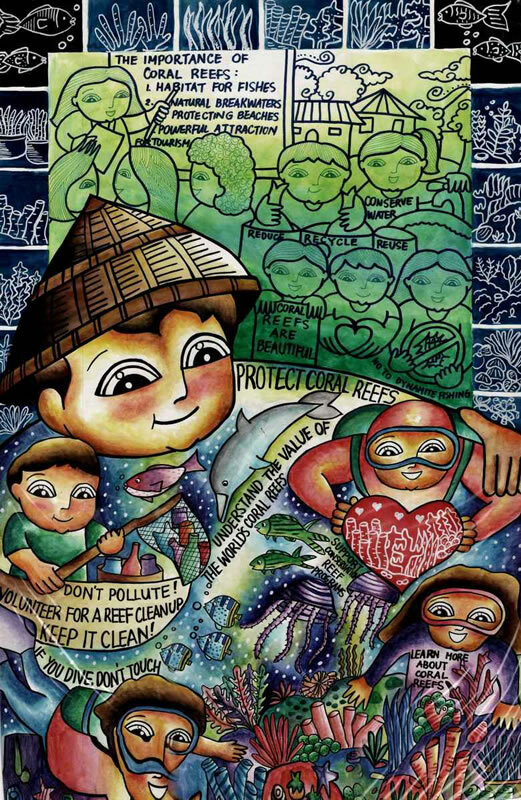 At this point, even if our actions do not directly harm the environment, sitting idly by while others do is just as detrimental. It’s now our responsibility to protect our earth by effecting change.” Michelle will be attending Columbia University this fall. 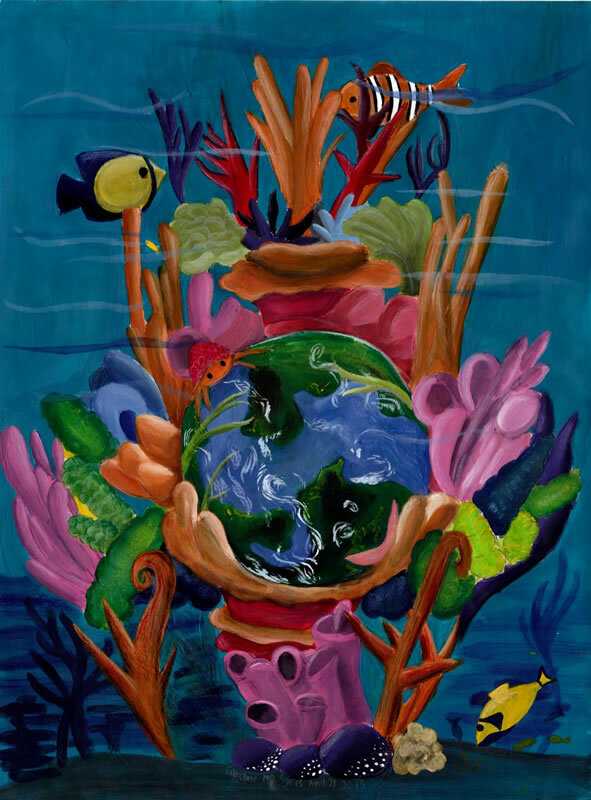 Through the Science Without Borders® Challenge, the Foundation hopes to promote public awareness of the need to preserve, protect, and restore the world’s oceans and to inspire students to conserve and protect coral reefs around the world.